The Tequila Tour is one of our 5 stars tours. We will drive east of Mazatlán toward La Noria Village where natives hand make leather sandals, saddles and pottery. 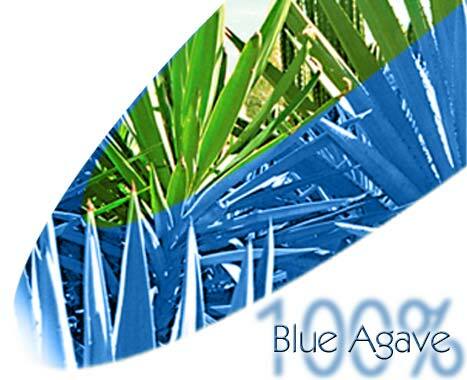 Then we will visit "La Vinata," the only Tequila Distillery in the state of Sinaloa. We will continue to El Habal village a typical ranch in the Mexican State of Sinaloa. Natives from Mazatlan love to spend time here with their family and enjoy visiting and eating in the popular "El Habaleño Restaurant" which has been famous for many years. You will taste the country flavor of Sinaloa in its cuisine. We highly recommend you to take this tour that will show you a lot of Mexico and its culture!!! Child policy: Under 11 years old, 3 and under free. Pricing and deposit policy: Must be paid in full. Groups and Families price call or e-mail for a quote. Every Monday to Saturday in Mazatlan, Mexico. Pick up service from hotels and cruise ship dock..
Sundays. Rarely cancelled due weather conditions. Will you be picked up at your hotel? Yes. Pick-up at the hotel lobby or cruise ship dock (approximately 1 hour before the tour starts). Will you be brought back to your hotel? Mazatlan´s Golden Zone -- for those people staying in private homes. Your hotel, the cruise ship dock or the central meeting spot. There is no age restriction (child policy may apply). Beer, soft drinks and bottled water on board the bus. , with your reservation number (no fee to change reservation -- $15 to cancel per reservation, not per person). All changes and cancellations must be put in writing via e-mail. Please no phone calls. Full refund if tour is cancelled due weather conditions. The little mountain village of La Noria is just 40 minutes northeast of Mazatlán– and well worth a visit. Nestled into its own little corner of the world, "La Noria," which means "The Well," is named for the shape it takes; entering the town means descending into a bowl-shaped area, giving the appearance of a town set in a well. Highlights include an old jail, which is still in use, the church of San Antonio, and a variety of locally made leather goods. Since it is not uncommon to see a cowboy ride up to the local supermarket on horseback, it is fitting that leather shops specialize in saddles, which are sold all over Sinaloa. You can watch these and other leather goods being made right in the shops, must-buy huaraches with their ever-lasting rubber tire soles. To get to La Noria by car, take Highway 15 north out of Mazatlán. You'll pass the toll (cuota) road to Culiacan and eventually see a sign on the right side directing you to La Noria. Following the sign, turn right (or east) and follow the road that will take you right into the town. Just 30 minutes northeast of Mazatlán, a deserted agave ranchhouse and tequila distillery has been transformed into a tasteful, tranquil guest ranch. The 3,000-acre ranch is a refuge for both humans and animals, from miniature horses to exotic pure-white peacocks. A small white chapel sits atop a slight ridge overlooking the property, with the Sierra Madres rising in the background. The original stables, hacienda, and tequila-factory buildings have been completely renovated with attention to detail, and several new casitas are filled with classic Mexican touches. To honor the privacy of their guests, drop-in visits are not allowed, but tour groups and individuals may visit for lunch and a horseback ride, with advance reservations. casita has a large porch, where guinea hens tend to roost in the window boxes among blooming flowers. The chef prepares superb regional Mexican cuisine with breads baked daily in a wood-burning beehive oven. Guests are welcome to ride the horses up the mountain foothills and into towns that still lack automobiles and electricity. There's a pool and tennis courts, and plenty of space to roam in complete solitude.